There are perhaps well meaning people who want Socialism to work today. Sharing and caring; it could be fun. But the fun begins to end when a few elite people call the shots and take your toys. When the “community as a whole” turns into the few with power, things begin to go sour. Or when the “productive” neighbors become the many who mooch, smiles begin to droop. Can I get an amen from the citizens of Jamestown? As Christians, we cannot be ostriches with our heads in the sand, but instead must have our heads in the Bible. So the question cannot be avoided. Do the Scriptures teach socialism or another form of government? 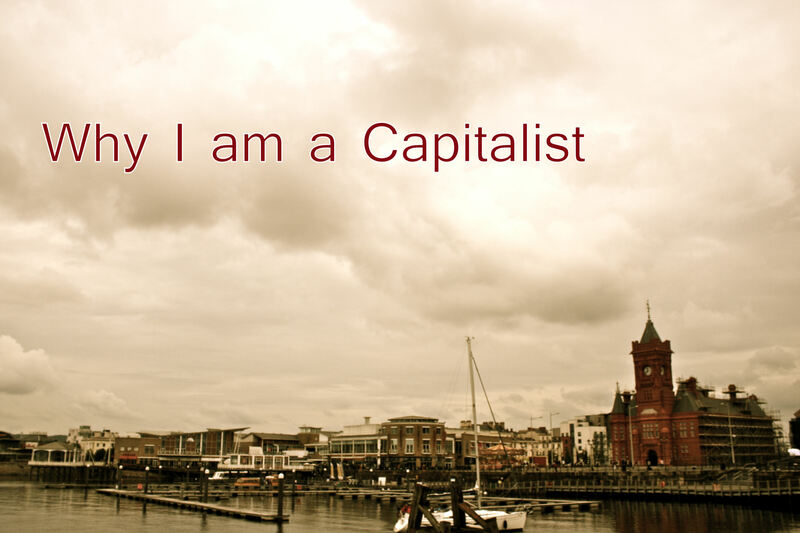 You might hear the questions rumble: Capitalism can’t survive without selfishness. It thrives off the greedy, conniving, and fat cat American dream mentality. How can I choose a system that is profit driven over a system that is based on looking out for others? The book of Acts talked about how believers shared everything in common and their leaders regulated it. They gave away all their possessions and lived life in community with each other making sure no one lacked anything. Don’t we want to be like the early Christians? And so the socialist spins his web full of sticky spirituality and well-placed verses. They paint with broad strokes, but their watery colors run. I will grant to any and everyone that selfishness is always lurking at the door, but selfishness is not the hinge on which capitalism turns. Rather, freedom is the hinge and hard work is the knob. Sure it is possible that selfish ambition may drive a person’s capitalistic car, but at least they had the freedom to put that low-grade fuel in it. Those who blow the selfish horn usually have a lot more in their lungs. Which is more selfish? To force others to do what you want or to allow people the option to buy what you have? Take note that neither socialism nor capitalism will solve the problem of selfishness. The only form of government that can break the power of sin is the kingdom of Christ. The bottom line is, we want capitalism because it gives the Church the liberty to take dominion over the earth and take every thought captive that is set over against the gospel. The question we ask shouldn’t be “What government system will answer the problems of the world?” The question is, “We have the answer. Now what system asks the question?” Only capitalism asks the question, because socialism thinks it already has the answer. The early church had no part in a socialistic society. The early believers freely gave their possessions to others. They were not required by a government to share but they were compelled by God to hold all things in common. The hermeneutic that uses Scripture to support Socialism is the same hermeneutic that supported the Crusades. One coerces to convert using the sword. The other forces to share by socialism. But we all know that you can’t really make people serve God by force. As Schmidt has pointed out, the commandments “You shall not steal” and “You shall not covet” both assume that the individual has the right and freedom to acquire, retain, and sell his property at his discretion. So the bell has rung and Socialism 101 is being offered at the same time as Scripture 101. You can’t reserve a seat in both sections. Therefore, let us be happy, generous capitalists who share the good news of Jesus Christ. Capitalists who have the freedom to love God by giving and allowing others to do the same. You do realize that many, many early British and European socialists were believers, correct? Does their socialism invalidate their allegiance to Christ? Not only that but you’re incorrectly equating socialism with the idea of communal ownership of all things. Socialism is the idea that the means of production should be owned by all. That idea is not in opposition to private property. You also seem to equate Socialism with government control but that can be as much a problem in Capitalistic economies as well. Likewise, freedom is not solely in the domain of Capitalism but could also be part of Socialistic economies. It is a matter of degree with both govt. control and freedom. So then there must be another value that can help us decide which is better. How about the Common Good? “From each according to his/her ability and to each according to his/her need.” Check out the OT story of Joseph administering produce in Egypt to assure that all had what they needed.